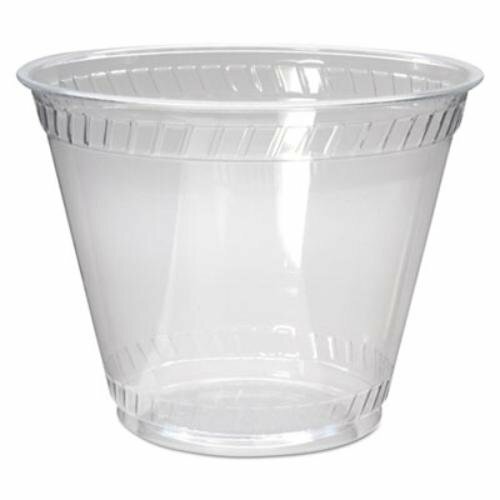 Greenware cold drink cups are a line of crystal clear. These are sustainable solution in foodservice packaging. Sturdy and stylish, greenware cups feature a rolled rim for drinking comfort and leak-resistant lid application. Benefits: resin derived entirely natural and renewable resource, crystal clear for complete product visibility, durable material unsusceptible to flavor or odor transfer, 100 percent compostable in actively managed municipal or industrial facilities, where available. Industrial compost facilities may not be available in your area. Five most popular sizes fit only two lid series, many merchandising options, Polylactic Acid lids create 100 percent natural package, "sourced locally" and manufactured domestically, large, flat and un-interrupted labeling space for outstanding branding opportunities, stock printed designs available with no print minimums to promote environmental leadership, safe and comfortable drinking surface,leak resistant snap-fit lid application and removal. If you have any questions about this product by Greenware, contact us by completing and submitting the form below. If you are looking for a specif part number, please include it with your message.